Possibly the worst part is hearing Mostert screaming in pain while he writhes on the ground. I am amazed that he was able to stand up and walk off the field without wailing like a professional mourner. Mostert was working on a nice game, with 86 yards and a score on just seven carries. 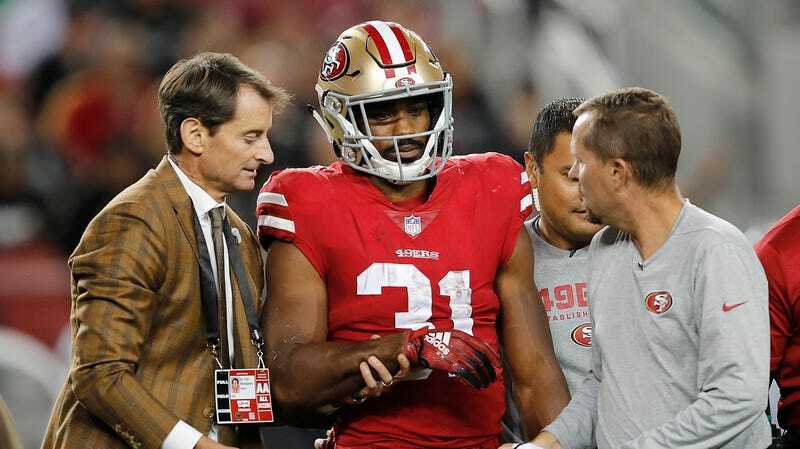 Kyle Shanahan says he “would assume” Mostert is out for the season with a broken arm. I think we can cut past the assuming! Healthy arms do not have more than one elbow.